Erasure are a synthpop duo from the United Kingdom consisting of keyboardist Vince Clarke and singer Andy Bell. 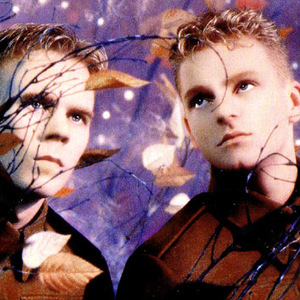 After founding Depeche Mode, Yazoo and The Assembly, Clarke formed Erasure with Bell when he found the singer after placing an ad in Melody Maker. Erasure entered the music scene in 1985 with their debut single Who Needs Love (Like That). Beginning in late 1986 with the release of their single Sometimes, Erasure established themselves on the British charts; albums such as The Circus, Wild!, Chorus, I Say I Say I Say, Loveboat and Nightbird demonstrated a further diversity of sound. Erasure entered the music scene in 1985 with their debut single Who Needs Love (Like That). Beginning in late 1986 with the release of their single Sometimes, Erasure established themselves on the British charts; albums such as The Circus, Wild!, Chorus, I Say I Say I Say, Loveboat and Nightbird demonstrated a further diversity of sound.